It is not wrong to do your best or hope for the best from others, but if the desire for flawlessness overwhelms you, then there’s a problem. Perfectionism is also a risk factor for anxiety, obsessive compulsive disorder, eating disorders, phobias, substance abuse, and depression. 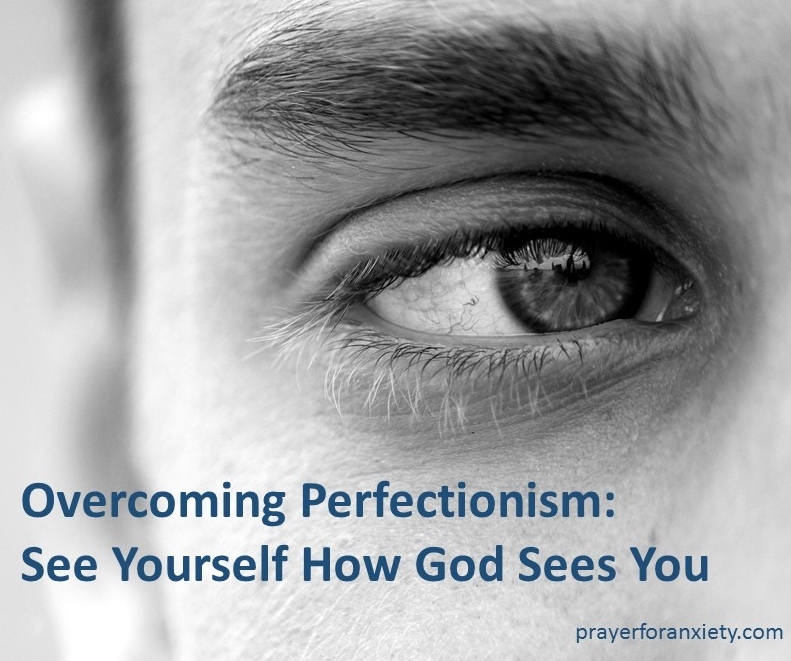 Overcoming perfectionism is possible; let’s see how. Perfectionism has varying degrees of severity. You can strive for perfection, enjoy the process, and accept things when you fall short. The other extreme is when your goals become unrealistic and you feel a persistent dissatisfaction with yourself and/or with others. When things go wrong you might even get depressed. If the desire to do everything well interferes with your personal relationships, work, or education then you should seek help. A spiritual component might be the key to healing. The exact cause of perfectionism is not always clear. Perhaps you were told all your life that you were perfect or maybe you had very demanding parents. Or you might have grown up in a disorderly or negligent home, and now security is an obsession. These potential causes give us a clue as to how faith is the key to freedom. Write down things that are important to you and why: The things you list are important, but examining why is even more revealing. Avoid competitive environments: Do you really have to be the best at your church group or fitness club? When you go to a place do you feel peace or do you find yourself criticizing others? Do you only want to win and bend others to your will? Don’t be afraid to admit – and show – your weakness: This is very hard for perfectionists. Pray for this grace. Remember that failures are the best place for growth and improvement. These coping methods are helpful, but only a deeper understanding can provide us the hope of freedom from perfectionism. Job was a man in the Old Testament that was pretty much perfect. God himself said that there was no one on earth like him and that Job was “blameless and upright”. Then one day Job lost everything: his house, goods, children, and health. In despair, he began to question, “How could this have happened if I did everything right?” Job eventually curses the day he was born, and he even begins to questions God’s justice. Here we see why the perfectionist suffers so much. In their attempt to protect themselves at all times from the failures of life, they exert an exhausting effort to maintain their security. But against the reality of our imperfect world, this is impossible. This position – where we believe that we can control our reality – puts us in direct opposition with God. Eventually God answers Job’s plea. He answers by showing that God’s “ways are higher than our ways” (Isaiah 55:9). God responds by showing Job that he does not owe him any explanation – he is the Creator of the universe after all. It’s like an ant asking why his anthill had to be squashed in order to build a skyscraper. Job learns that his set of ideals and values are quite small when compared to God’s overall plan and understanding. In God’s plan, prosperity and calamity can fall upon anybody. Natural disasters do not favor anyone. Nature, ruled by God, does as she pleases. This makes perfectionists uncomfortable since they worry about insecurity. Ironically, within this message we find hope. When we understand our true insignificance in this universe we begin to understand God’s justice. Why? Because the maximum penalty is spiritual death from sin. From this no one can escape since we are all sinners. However, God reached down to save us. He stopped the construction of a skyscraper sized tomb to save us tiny ants. Here we discover the perfect justice and mercy of God. Jesus could have come down from the cross with all the power of heaven behind him, but instead he chose to give himself up for you. God chose to show us the perfection that only love can provide in a very messy and sometimes violent world. Many rich and powerful people have died alone not knowing of God’s love despite being buried in a tomb of worldly perfection. To know, without a doubt, that God loves you, goes far beyond any security that an earthly situation can offer. The truth of the Gospel, that Christ came and died for our sins, is the most liberating news in history. It means that despite our world being beyond our understanding and control, you know that God’s love for you is unshakable and eternal. You are God’s child. He really loves you! Pray for this truth to become a reality in your heart. Ask God to forgive you for not accepting and trusting. Pray for the security that God’s love alone can provide you. If you think you suffer from perfectionism, seek help from a qualified health professional and from a reliable pastor or priest. Interesting post and your post really spoke to me about the struggle with perfectionism. It was past issue but after I have CHRIST in my life, things changed. I strive to please God other than striving for what I cannot achieve that is impossible for man. Through God we can do all things and be an overcomer of all evils. God bless you and have a nice day! Our faith heals us and sets us free. Thank you and praise God! A very hopeful presentation of the Gospel for perfectionists and others who feel we don’t measure up. Well done. Thank you for your kind words brother. God is so good to us all.